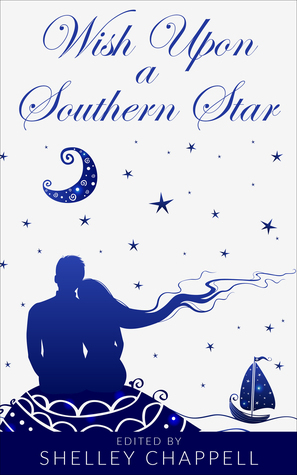 With Wish Upon a Southern Star​ soon to be launched in September, it is my pleasure to introduce you in advance to each of the contributing authors and to give you a taste of their work. ​"Adelaide and the Dark Wood." K. S. Liggett has travelled the world finding inspiration. Originally from the USA, she believes there are always two sides to every story and strives to challenge our perception of characters we think we know. Always invested in multiple creative endeavours at once, she is currently writing her first full-length YA fantasy novel and launching a yearly retreat, Engage, for adults who share a love of all things 'nerdy'. ​1) K.S., Why do you write? I can’t remember a time when I wasn’t re-imagining the world around me, usually in a fantastic way. When I lived in New York I loved to watch the people around me and create scenarios that brought them to that very moment. I admit, those scenarios often included things that may have been a stretch – like magic or dragons – but writing gives me an avenue to channel those moments of imagination. It also allows me to enter those lives in an attempt to see the world from a different perspective. Often you hear, ‘write what you know’. While there is a truth to that saying that I embrace, I think there is quite a lot of personal growth to be gained by writing ‘what you don’t know’, and that’s a journey that I enjoy. 2) Why do you think fairy tales remain relevant today? Fairy tales are relevant because they often take you one step away from reality while still embracing important issues that our minds can still recognize and relate to. They give us an unpressured environment to deal with difficult situations and see that there are workable solutions and alternate paths to take. A child might dream of a character that embodies truth or justice – grand ideas. Yet, in real life, it can be harder to see those ideas in action. Fairy tales give us a platform to show morality and ideals as attainable, which is extremely relevant in today’s world. 3) What was your favourite fairy tale as a child? Why did you like it so much then and is it still a favourite or has it been replaced and why? My favourite fairy tale has always been the story of ‘Scheherazade’, who was the narrator for the collection of folk tales One Thousand and One Nights (also known as Arabian Nights). I’ve always loved Scheherazade’s story because she was the greatest storyteller of all! Knowing the King was executing each of his brides after only one night, she offers to wed the King herself and regales him with stories. Every morning, as dawn broke, Scheherazade ended her stories with a cliff-hanger and the king was forced to put off her execution to hear the ending of the story. For one thousand and one nights, Scheherazade would finish one story and begin a new one, until she had no more stories to tell and the King had fallen in love with her. Scheherazade is still one of my favourite fairy tales today. Composer Rimsky-Korsakov wrote a brilliant symphonic suite, titled Scheherazade that was based on the original collection of folk tales. This is also one of my favourite pieces of music as I believe it matches the fierce beauty of the heroine. 4) What is your favourite fairy tale retelling by another author? Why is it a favourite? I have always been a sucker for a story that challenges perception, hence, my interest in retellings of all kinds. I thoroughly enjoyed the 2014 Disney movie, Maleficent, as a portrayal of the untold story of an evil sorceress. The story follows a young woman’s life as she suffers a physical and emotional trauma, the choices she makes, and how she ultimately comes to terms with her circumstances. No longer is the audience judging a simple character for her acts of evil, but finding sympathy for a complex and emotional struggle that led Maleficent to make understandable choices. It may be no surprise, then, that this is exactly the kind of storytelling in which I lead my readers in Adelaide and the Dark Wood. 5) Can you tell us a little about your retold fairy tale?. Adelaide and the Dark Wood is a re-telling of the age-old classic, Hansel and Gretel, told from the witch’s point of view. Everyone knows the ancient witch from Hansel and Gretel is a monster of the worst kind. Or is she? What is her story and how did she end up on the path that led her to her infamous meeting with Hansel and Gretel? Adelaide and the Dark Wood explores the difficult situations that human beings encounter in life and how every choice influences the next. It shows the unique path of a character trying to process difficult emotions while posing a moral question in the classic fairy tale style. ​Adelaide and Helena were sisters. They had been born with magic and orphaned at a young age with no direction save a desperate, dying wish from a loved mother. Hear me. You mustn't expose your gifts. Never let them see. From that day on the sisters had been each other's greatest comfort in a world rife with superstition and fear. How they lived in that world remained a source of disagreement between them. Adelaide believed that their mother, a woman they barely remembered, would have wanted them to remain separate from society and never risk exposure, but Helena believed their gifts existed in order to make the world a better place. Helena wanted nothing more than to share her gift of healing by helping humanity. Perhaps Helena, as the younger of the sisters, couldn't remember the fear in their mother's eyes as she said goodbye. But Adelaide remembered. And Adelaide did not feel at ease walking through Little Haring. ​"Riki Goes for a Spin." Mahoney Adair cut her teeth as a writer at the age of sixteen when she had her first ‘Robert Frost’ type poem published in Wairarapa’s Active Arts Competition (she was the youngest competitor), before she entered journalism school in Wellington. She then became a frontline television news journalist, Parliamentary Press Secretary, creative director in a top advertising agency and Ambassador to the Antarctic, covering stories that had never before been shown. Following a recent interest in writing for children, she was the catalyst for the creation of Christchurch’s Children’s Literature Hub in 2014 and was a finalist in an international poetry competition, with her work appearing in Clawsome Dragon Limericks (2016). ​1) Mahoney, why do you write? I have no idea really, but for some reason it has been something I have done from a very early age, possibly the need to translate feelings into words. Because at the essence of every tale is a message of enlightenment and understanding. When I was small I used to listen to a recording of ‘Diana and the Golden Apples’ and I was always intrigued, fascinated by the heroine who had fallen in love at an early age but, when grown up was expected to marry. In order to please her parents she agreed to marry the suitor who could outrun her in a race, knowing Melanion, her childhood sweetheart, was the only real contender. But he was lame from battle wounds when he returned to win her. Slowing down her pace he dropped three golden apples and as she stooped to pick them up he overtook her winning the race, and her hand in marriage. This story hasn’t been replaced, but others, including some sensitive stories (not necessarily fairytales but tales with messages) by Oscar Wilde, that is ‘The Little Donkey’ and ‘The Selfish Giant’, are still very close to my heart. ​4) What is your favourite fairy tale retelling by another author? Why is it a favourite? The royal child belongs to me! 5) Can you tell us a little about your retold fairy tale? My retold fairy tale, ‘Riki Goes for a Spin’, is about Rumpelstiltskin and came as a result of Shelley’s workshop with us at the Christchurch Children’s Literature Hub, following which I flipped the classic fairytale upside down, modernized it, discovering what it means to create a plot twist and generate feelings for an anti-hero. Equally importantly, I believe I have acknowledged the essence of the fairytale which is surprisingly about unrealistic expectations. In the original Brothers Grimm fairy tale, Rumpelstiltskin is an ambitious character, who trades his superpowers - spinning gold from straw – in return for the first child born to the damsel in distress who has to impress her royal suitor in order to marry him. In this fast-moving modern version, Rumpelstiltskin is softer and more kind, but his rescue mission for reward is still misguided, with disastrous results for him; while our subtle, apparently sweet-natured heroine has streetwise, survival tactics of her own. The score that underwrites the story is the circular momentum of the spinning wheel in the original tale and the round circuit racetrack in this one. The story takes up from the moment Rumpelstiltskin realizes he’s been duped. Broken-hearted, he took to the track. No point in telling his mates he’d fallen for a pregnant girl and wanted to marry her. They wouldn’t get it. The track was where the boy racers went to burn off steam – smooth, fast, pliable, safe. There was always someone to flag you down at the finish line. He planted foot, full throttle, and wound the new car up to full speed, cruising way beyond the safety limit, his blood pumping like it injected straight through the engine, his mind focused clear on the track but then disintegrating in a tumbling kaleidoscope of fragmented emotions. Giveaway ends September 02, 2017. New Zealand, Australia, UK, Ireland, USA or Canada. Graham Davidson is an advertising and film industry creative with work recognised by over thirty advertising industry awards, including Clio, Australian Writers and Art Directors, and the Retail Results Awards. He is also a proficient painter who has frequently exhibited his work and has twice won categories of the Maitland Art Prize. A father of two children, he is now passionate about building a career as a writer. An active member of the Hunter Writers Centre and its Children’s Writers Group, he also contributes to the “Books in Homes” program, going to schools to talk about writing and hand out book packages to students. 1) Graham, why do you write? Since I was old enough to hold a pencil, I loved drawing and all forms of art and creative expression. I left school at fifteen and took up a job in an animation studio, which became the beginning of a long association with advertising. Just over a decade ago, I was asked to head up a team of designers developing a concept for a television series aimed at boys aged ten to twelve. It was a dystopian setting where experiments in genetics had gone terribly wrong. During the process, I found myself deriving the greatest satisfaction from the development of the backstory and while the series never got up, I held onto the back story as something I’d like to develop one day. Then a few years later, I discovered Neil Gaiman’s work. I felt that here was a writer whose mind worked like mine, which in turn led to me wondering why the hell I wasn’t writing. I went back to the backstory I’d developed and wrote the first two chapters of my debut novel, Fire in the Veins: Genesis of the End (anticipated to be the first book in a trilogy of trilogies). I bounced the first two chapters off a few friends and was surprised by their eagerness for more of the story. A hundred and thirty thousand words later, I discovered that after the first draft, the real work begins. I’ve now finished the ninth draft of that book, and it still needs to be beaten into shape a bit more. So, why do I write? I cannot survive without creativity, and by far the most rewarding form of creativity is writing. To escape into another world when reading a good book is a magnificent thing, but to escape into a world you are creating as you go is something else. It always amazes me how the characters take a book where you least expect. The more I try to dictate the characters' actions, the more they resist. I always find myself more the witness to the story than its creator, and I hope the experience of writing can remain that way for me. Fairy tales will always be relevant, but their relevance changes with time. Once upon a time, they were intended as a means of warning children to conform to particular behaviours, lest they suffer horrific consequences. Even when I was a child, I remember my mother using the morals within fairy tales as a warning (something I could never impose on my own children). So, it’s certainly not the moral fibre of fairy tales that keeps them relevant. Nor is it any perceived innocence, as most are quite dark and can be confronting for young children. However, they do encapsulate raw imagination targeted directly at children in language they understand. They are invariably stories that can be transposed onto almost any time period or culture. Their focus on fundamental conflicts between good and evil makes them easily accessible to kids and a gentle reminder to adults. It’s not something I’ve thought of a lot over the years, but I think it would have to be the Pied Piper. I like the ambiguity of who the good guys were and who was really a villain. I still remember feeling angry as a child about the townsfolk not paying the piper, and yet found the piper himself to be particularly unlikeable too. It seemed to me a story dominated in the end by villains, with the only good guys being the kids who were innocent victims exploited by all parties. Sadly, this is a situation you see reflected all too often within the world we live in today (and probably of the time it was written, too). I haven’t really read a lot of retellings, but Gaiman’s Stardust stands out to me as a modern telling of a fairy tale story, a re-invention of the genre to suit a modern audience. I love that Gaiman is able to put his knowledge of science and reality aside and let a star fall from the sky in human form, and to allow a world of magic to sit side by side with our own. But best of all, as well as the heroes living happily ever after, justice is ultimately served. I think it’s a shame the movie never lived up to the promise of the book. I believe the problem was that the book told a fairy tale that was clearly not aimed at children, but at adults, while the movie was unambiguously aimed at kids. Of course, when you get into re-tellings, the modern animated movies become a treasure trove. Disney started the trend of re-telling fairy tales in movie form not so much because he liked the stories, but because there was no copyright in the way. Single-handedly, he created a perception of fairy tales as much friendlier stories than they were ever intended to be. Now, with the likes of Shrek and Tangled, the scriptwriters are milking the stories for everything they can get in terms of the Hollywood storytelling tradition. While I loved both of those movies, I feel they deviate from the heart of what makes fairy tales great in their efforts to achieve box office success. I came up with the idea of Krinkle-myst after my partner and mother-in-law bought me a beautiful elf last year in the lead up to Christmas. I decided the elf had to have a name, and if he had a name, then he needed a purpose. And that purpose was the establishment of moral order through the writing of fairy tales. Stories that would weave a fabric through all of existence that would inspire thoughts in people and help them distinguish right from wrong. Of course, the only trouble with that is that each story must be acted out and reach the correct ending, else the fabric be left full of holes. If a fairy-tale doesn’t reach the conclusion inherent within its script, it must be acted out again under Krinkle-myst’s supervision until it does. And when it came to Cinderella and the Prince, Krinkle-myst certainly had his work cut out for him. The fairy flew ahead, talking to the wind through the rhythmic beating of her wings. Once the wind had fully understood the directions, it flicked Krinkle-myst into the open air and away from the land that no one has ever seen, instantly transporting him into the lift of the Woodland Elf Corporation’s Australian headquarters. To the half dozen people in the lift, it was as though he’d always been there. None of them saw anything unusual about the sixty-centimetre elf with his forest garb and leather briefcase, and as soon as they left the lift, all memory of having seen him would be gone.